In this podcast, Derek is joined by Chloe Franken once again. 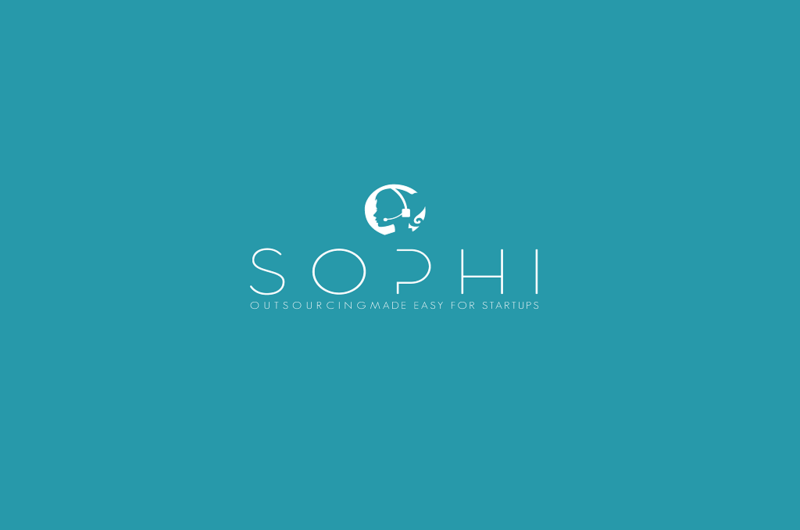 A Filipina and now the CEO and President of SOPHI Inc. SOPHI Inc. is an Outsourcing provider focused on startup companies, they support different back office functions. Join Derek as he deep dive more into SOPHI Inc.
Chloe currently the CEO and President of SOPHI, she started with SOPHI as the General manager and they started off as an in-house call center for a student rewards program in Boston. She also shares SOPHI’s services and offerings and how they differentiate themselves from other BPOs. Chloe talks about a brief demographic insight into the startups and how big they are typically, and the number of staff they fund. 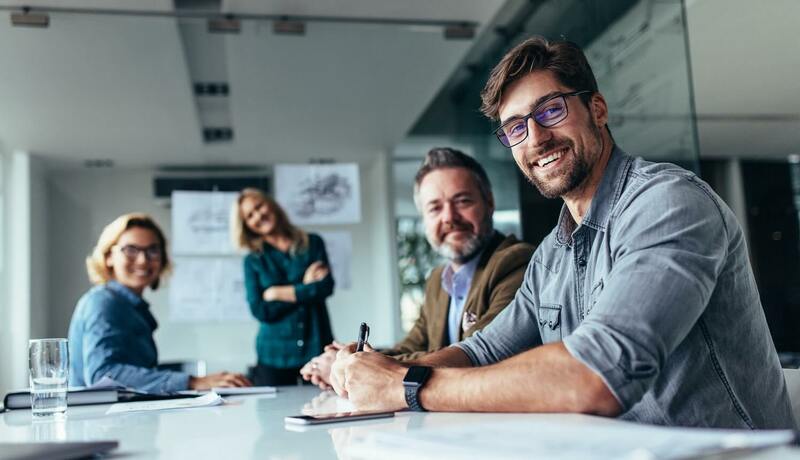 They depend on the requirements of their client and they try to find a profile that fits their requirements to a team. The cost of living in Dumaguete is considerably lower than in Manila and Cebu. Sophi is based in Dumaguete which she describes as a small town but it has a young vibe. Chloe talks about salary differential and also the skills and talents in Dumaguete. Derek: Today we are joined again by Chloe Franken. Hi, Chloe. Chloe: Hi Derek, how are you? Derek: Fantastic and today we have previously had a chat to Chloe a little bit about the origin her journey, the origin of SOPHI which is a startup specialist outsourcing service and also a little bit about the industry so today I want to deep dive a little bit more into SOPHI which is Chloe’s outsourcing agency and get to know exactly what they do and this isn’t because this is an infomercial but it’s how she looks really find a lot of value in deep diving into different types of BPO offerings, different structures, different prices charges and different niche such as Chloe’s SOPHI, this is confusing me awfully, Chloe. Chloe: People have called me SOPHI. Derek: I imagine they have, but anyway so it’s fantastic to have you on board and I suppose initially can you for people that haven’t listened to the previous episode witch you can you just give them a bit of an introduction as to who you are and how you came to be the President and CEO of SOPHI. Chloe: Sure well my name is Chloe and I’m currently the CEO and the President of SOPHI I started with SOPHI as the General manager and we started off as an in-house call center for a student rewards program in Boston and in 2012 we became an official BPO where we serve other clients particularly in the startup industry so we take care of customer service and back-end support and we’ve been growing exponentially and in 2008 we’re actually planning to expand in Cebu so a lot of things for such a small company. Derek: Chloe the SOPHI is based in Dumaguete which is a second or third tier city in the Philippines. Can you describe Dumaguete for the listeners and kind of some of the strategic advantages and maybe disadvantages of you being based down there. Chloe: Well Dumaguete is a small town. We have about just over a 100,000 people in population in the main city and it’s population basically it’s a huge contrast because we have a lot young, a university town and we also have a huge retirement population because of all the expats that retire here and those 2 are very indicative of what Dumaguete is because it’s such a small town but it has a young vibe where it’s a little urban town where you get your restaurants and you get good schools so that’s why it’s very attractive for the young people to study here because it’s very conducive for the environment is less stressful like big cities like Cebu and Manila. it’s very conducive for studying so its attractive for young student to study college here we have Silliman University which has excellent education so yes so that’s the other side of it and it’s also because of its laid back nature a lot of foreigners come here to retire and to settle down my late step father was Dutch and when we were living in Cebu we came to Dumaguete to visit some family and he just fell in love with the place and that’s why our whole family decided to move here few years back so Dumaguete has that vibe where you know it’s laid back but it has enough energy to keep you interested and to keep you staying..
Derek: And then so people considering outsourcing they do look at the whether you come to the major city which is Manila or you head out to some of outlying cities and towns now one of the major considerations there is the salary differential so maybe you can speak a little bit to that but then also the depth of the pool of skills and talents in these towns could you maybe speak on that a little bit like what is this sort of salary differentials and can you get the kind of skills that you need down in Dumaguete. Chloe: Sure definitely the cost of living in Dumaguete is considerably lower than in Manila and in Cebu so for a smaller company looking to start a business here you get the advantage of having you know it’s affordable to pay people to work for you because the cost of living is pretty low and aside from that we have so many graduates every year from top universities that you have a huge english speaking pool to start your business and aside from a lower cost of living where you can have lower salaries compared to Cebu and Manila everything else is more affordable to give you a comparison and I’ve just recently really learned a lot of the pricing difference when I was looking at offices in Cebu, Cebu your office rent per square meter would be around 600 – 800 pesos per square meter at a Peza location and here in Dumaguete is half that price for a Peza location so you see a huge difference. Derek: So that’s about 15 – 20 USD per square meter per month vs looking at about 7.50 – 10 USD. Chloe: Yeah so right of the batches operation of, just the cost of operation is much lower in Dumaguete and Dumaguete has the infrastructure for fiber optic lines so internet is not a problem so everything else there are Peza buildings here as well so if you’re looking for a place where you want to start your office and you want to start at a place for it’s affordable but yet you have the infrastructure to support it Dumaguete is a great option and not just that it’s just when you have people who are less stressed they’re happier and productive at work and in Dumaguete people are just generally happier because they’re not stuck in traffic for 1 or 2 hours just to commute to work you get to work in 15 mins so. Chloe: Well when we started off we had our roots in travel specifically in student travels so when we started getting clients of our own we really targeted the travel industry so a lot of our clients right now are in travel and could be in hotel booking, airline booking and activities booking so we’re in to that and our market also consist of companies and mobile applications eCommerce a lot of tech companies so we provide primarily customer service in terms of billing handling clients managing accounts and we also do the back end stuff so we have lead generation, research data entry and even CMS support so we do a bit of everything we’re also starting to expand our services to social media management and digital marketing so we kind of really want to do a lot of varied things because we want to have a good mix of different clients in different industries and it also attracts good talent to us because we have options for them in terms of courier where if you’re studying graphic design at school you get a chance to be a graphic designer for a cool startup in the US so we want to be varied with our services. Derek: So your niche now is the startup community in the US it sounds how do you think that outsourcing services for them differ to bigger companies I imagine startups there a lot more kind of dynamic you to have people that kind of a very generalist in their application but also they’re potentially high growth and they a lot do you notice the differences for startups? Chloe: Yeah definitely because when you work with a typical traditional company a big company they have their process in place they basically know what they want and they know you know, they have rules that ok you have to do this and that and that’s our process versus a startup that literally has even know sla in place and they basically need us to kind of work with them to see you know what they can outsource sometimes they don’t even know what they want outsourced in the first place so I think our experience as a company that started off with another company and then later on had to go about it on our own kind of makes us a startup ourselves and it just kind of really gave us training in terms of how to be more agile how to be more flexible and how to think outside the box and how not to fear the unknown and how not to be intimidated by something we don’t know how to do yet. Derek: So do you find your tech on the startups and actually you know a lot of them are run by for one better description but scared the little boy that aren’t actually quite sure how to run a business, so they come to you and because of now your expertise and experience in setting up processes and setting up back offices they can actually rely on your expertise and buy your services are you basically running peoples back offices for them? Chloe: Yes exactly, sometimes because of our experience we kind of give them a guide as to okay this is what you need and this is how we’re going to do it if you don’t have a script or a process to handle you customers service, this is something that works for another company that’s similar to you so they really look into us for some sort of direction as to how we can get there back office organized and how we can make things more efficient for them because sometimes a small company because our rates are pretty comparative to freelancers online, it’s fairly cheap for the startups to get us so sometimes they just get us for the whole month and throughout the shift of an agent they might even just have work for 4 hours so when we see that it’s up to us to tell the startup hey your agent is under utilized you might probably want to give task for them and they get direction from us specially for those who are just kind of clueless and starting out and it’s a great relationship because it builds trust they trust us that we have their backs and we’re not gonna take advantage of them we’re gonna work with them so that their agent is going to be successful their agent is gonna provide value to their organisation. Derek: Really is a true partnership isn’t because you’re actually standing side by side and you’re almost figuring out the business as it evolves with the founders of the business and can you give a brief demographic insight into these startups how big are they typically how many staff are they kind of externally funded how do they work? Chloe: well most of our clients on they started with they were in their just a starting stages of their business and eventually they become an accelerator and then they grow and some them in fact one of our clients started with us for just 1 virtual assistance and their actually the client that was bought out by a bigger company and they’re no longer a startup and they have about 68 agents with us now and they’re going to grown into 500 so we also have clients that are fairly small and they start with just 1 agent and basically keep their team size small to maybe just 5 agents so we have good mix of startups that are growing fast and are really hiring aggressively and startups that are a little bit more conservative and are keeping their team size to under 10 agents. Derek: And do you have startups that shut down? Chloe: Yes, some startups break their contract with us because 1. they don’t have a need for someone full time and our model works with a full-time agent some of them because they’re not as busy they’d want someone to just be able to answer call and be build for each call. Now, our setup doesn’t work that way because a startup would have to have an exclusive agent for an entire month we don’t let our clients share their agents so a model where we only bill someone per call that an agent answers doesn’t work for us so sometimes it doesn’t work out because they just don’t have enough work for our agents to work full time. Derek: And how does your price in structure work? Chloe: We start off with $7 per hour which is about $12.60 per month per agent and that’s a full-time working agent working 5 days a week 45 hours a week. Derek: So that’s how much $7.60 us per hour? Derek: And that is US $ and of course that covers their salary that covers all of the benefits on top of the salary that covers your infrastructure but also you were saying before that covers, there’s inclusion of your expertise and your processes and your guidance in terms of all of this and what sort of capabilities does a $7 an hour agent have or what sort of functions can they serve? Chloe: Well basically anything because with the $7 per hour when we recruit someone we recruit someone specifically for an account so if we have a client that is in online food delivery, we would look for someone who has interest in food and on top of that have a background in customer service so someone for $12.60 a month someone could answer the phone, make orders, handle customers as well at right blurbs for the restaurant and stuff like that so it depends on the requirements of the client and we try to find a profile that fits their requirements to a team. Derek: Right! Fantastic., and then if you build out teams all your price in the structure is effectually a wrapped in all inclusive price and then if you build out teams can you do the prices? Chloe: Yes as your team grows we have different price structures as you scale your team so from 1 agent up to 9 agents it’s a little bit more expensive but once you hit 10 agents you get a discount the discount varies per account because some accounts are more technical so then of course pricing would differ because we would pay a technical agent higher than customer service agents however each time you scale in increments of 10 agents you do get a lower rate. Derek: Alright and that’s to encourage bigger and bigger teams to stay with you. Amazing thank you, Chloe and of course if people want to get in touch with you and or SOPHI which is your startup specialized outsourcing service. How can they do that? Chloe: They can simply just go to the website SOPHI-inc.com and there’s a little button there that says start your free trial and they can click on that they can send their information and we will get back to them right away. Derek: Thank you for your time. Derek: Okay that was Chloe if you want to get in touch with Chloe if you want to know anymore about anything about this episode then go to our show notes you can find that at outsourceaccelerator.com/112 and of course if you want to ask us anything, anything at all then drop us an email to ask@outsourceaccelerator.com. See you next time.